Norwood Windows is a family-owned business that has been sixty years in the industry supplying and manufacturing wood windows for the North American market. The Cormier family operating this business has got out of their way to provide low-maintenance but highly efficient windows to protect homes against the harsh American winters. The company has a 250,000-square-foot facility in New Brunswick, Canada housing its state-of-the-art equipment and a pool of two hundred skilled workers. Considering customer safety and the environment at the same time, Norwood Windows shows wooden elegance that is sure to last a lifetime. One characteristic that sets Norwood Windows apart from other manufacturers of wooden windows is their ability to create windows made from combined wood species. Having a mahogany window with a cedar exterior casing is only a testament of their commitment to providing anything that a consumer wants. Aside from these two species, there are a lot of other types to mix and match for the window interior: pine, walnut, cherry, maple, Douglas fir, birch, white oak, red oak, lyptus, and beech. But flexibility is not only seen in interior colors. Norwood also provides options for wood stains, and with their six-step staining process, your windows are surely protected from harsh weather and ultraviolet rays. Available stains are clearcoat, morningside, harvest, mango, cherry, wheat, champagne, antique, oxford, and blackberry. 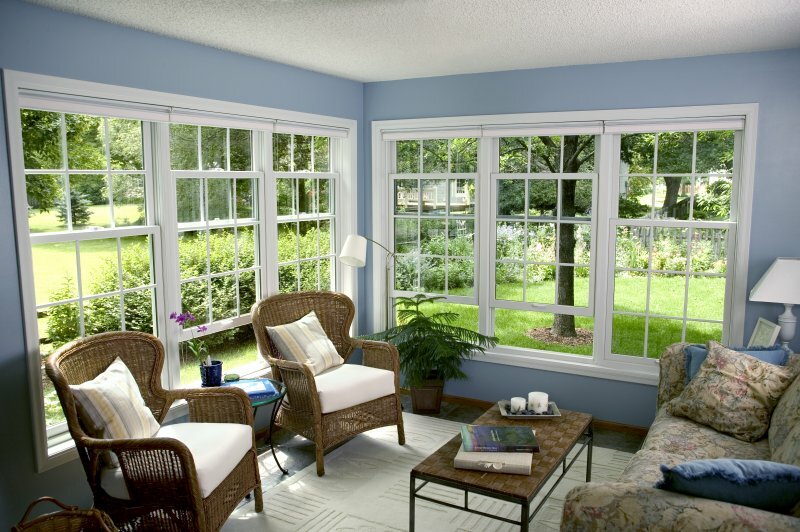 Norwood Windows also uses the latest technologies in protecting the home from harmful sun’s rays. These windows use low emissivity glass that provides superb thermal performance by letting short-wavelength rays from the sun pass through while blocking long-wavelength ultraviolet rays. This capability helps the home be cooler in the summer and warmer in the winter, and it also keeps the internal surfaces into their natural, original colors. This insulating property is even enhanced by the argon gas filled within the glass. Norwood Windows is one of the few manufacturers providing a lot of customisation options for its windows. Casings and trimming can be pilaster, subsill, backband, pediments, and keystones, while sills and swings can be in-swing, out-swing, anodized, solid, wood, or low profile. Choosy customers can also pick a stained, tinted, textured, or beveled glass. Restoration, putty, ovalo, and heritage are grille options available, but consumers can also opt for true divided light, pencil pewter, pencil brass, regular aluminium, and Georgian aluminium. For extra protection, screens can be roll-down, roll-up, half, or full. There are also a lot of hardware finishes available, so customers can definitely have the one fitting their taste. Norwood uses the highest standard exterior coating for wood substrates, and there is literally a rainbow of colors included in the palette. Norwood Windows gives a 15-year integrity warranty for its Permaglass windows, 25 years for the glass, and lifetime warranty for vinyl. See How Much You Can Save On Norwood Windows Today! Prices of window products at Norwood Windows differ according to type, color, size, and features. Thus, it is necessary to compare the costs of various Norwood window types and to put products side by side in order to see the pros and cons. When it comes to warranty, Norwood offers different warranties depending on the model and type, as most of them give their products a certain length of warranty years based on materials and confidence. Therefore, the price of the end product you will get is dependent on your careful selection and inspection.